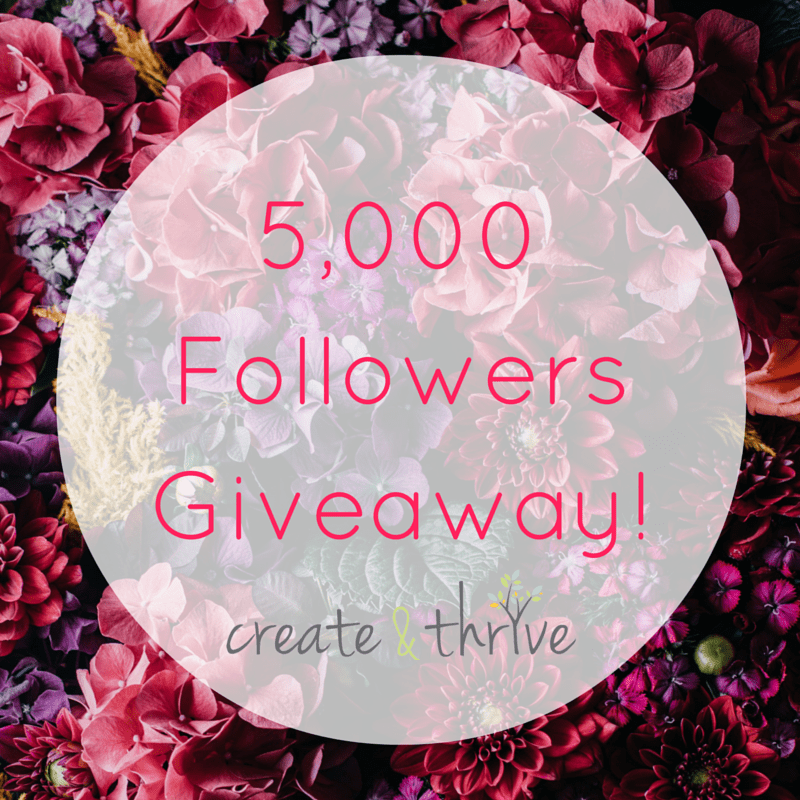 Create & Thrive has just passed the 5,000 followers mark on Instagram – so I decided to celebrate with a giveaway! I’m giving away access to our NEW self-study eCourse – Brand Your Craft – which will be launching next week. 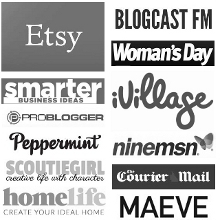 Brand Your Craft takes you through all the steps you need to take in order to create a compelling brand that speaks to your Ideal Customer, and which helps your handmade business stand out in your niche. 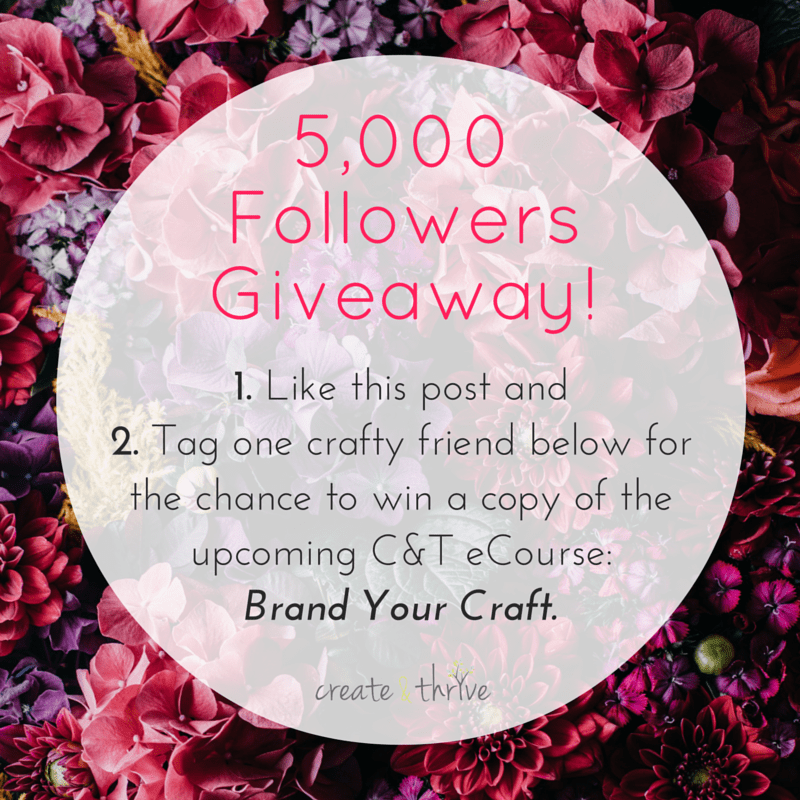 Head on over to the Create & Thrive Instagram account, and look for the image below to enter. Make sure to do BOTH of the entry steps on Instagram! This contest is in no way affiliated with or sponsored by Instagram. You must complete both entry steps to be in the draw to win – liking the competition post on Instagram AND tagging at least 1 friend in the comments below the post. You can enter as many times as you like – but you must make a separate comment for each friend you tag. If you tag more than one person in one comment, that will only count as one entry. Winner will be chosen randomly from valid entries. Entries close Monday the 28th of March at 10am AEST. There will be three winners. They will be announced on Monday the 28th of March, and will gain access to the course when it is launched.